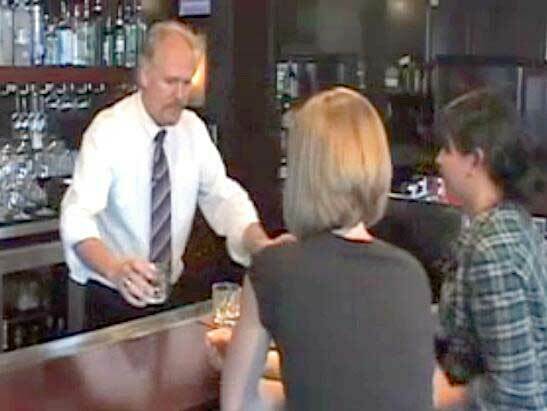 In Michigan State, it is the responsibility of alcohol servers to ensure that minors or visibly intoxicated individuals (VIPs) are not served alcohol. If you, as a server, fail to adhere to this responsibility then it is very likely that you and the establishment you work at will be held liable for any alcohol related tragedies that may come out of serving alcohol to a minor or VIP. One of the best ways to become knowledgeable about Michigan State’s alcohol selling and serving laws and to prevent liability is to complete an MLCC approved Michigan Alcohol Server Training Course. In fact, it is a requirement in Michigan State for every establishment to have trained supervisors on duty at all times alcohol is being sold or served! The easiest way to prevent your establishment from experiencing liability for alcohol related tragedies is to ensure that no minors or VIPs are served alcohol, but this can be difficult to do when there are minors and VIPs who attempt to purchase alcohol. Because of this inherent truth, we recommend that all establishments have a logbook and train their employees on how to use it. A logbook is a bound notebook that is used to record instances where service is refused to minors or VIPs OR instances where VIPs are cut off from drinking. Why is a logbook useful? Because it can be used to prove your establishment’s compliance with Michigan State’s alcohol laws. And in a specific case where you or another server at your establishment refuses service to a minor or VIP and that minor or VIP then goes to another bar or restaurant, is served alcohol there, and then gets into an accident, fight, or is hurt in some way (or hurts someone else/otherwise causes damage), then your establishment will not be held liable because of your ability to prove that you did not serve alcohol to the minor or VIP. Another thing to note is that if a VIP attempts to drive then it is your responsibility to either try and convince them not to drive or to call the police. How do you ensure the effectiveness of a logbook? In order for a logbook to be considered adequate evidence to protect you from liability it must be written in every single day and cannot be a book you can add or remove pages from (this is why we recommend a bound notebook). It’s imperative to document dates, times, shift changes, and the start and end of the day, in addition to any incidences where a minor or VIP was refused service or cut off. We can’t recommend it enough that all establishments which serve alcohol always always always have a running logbook. It’s a cheap and simple procedure to implement, and the advantages far outweigh the inconvenience of keeping up-to-date entries. If you are hoping to learn even more in regard to Michigan Alcohol Serving Laws in a fun and interactive way and would like to receive a Michigan Alcohol Server Certificate upon completion, we welcome you to check out our MLCC approved Online Michigan Alcohol Server Course whenever and wherever is most convenient for you!